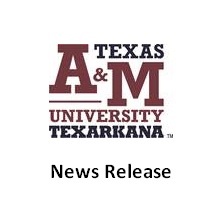 TEXARKANA, Texas – Texas A&M University and the College of Arts, Sciences, and Education will host an information session for those interested in the alternative teacher certification program, Eagles Teach ALT. The meeting will be held in University Center room 229 at A&M-Texarkana on Tuesday, April 16, from 5:00-7:30 p.m. Alternative certification programs are designed for those with a bachelor’s degree or who will have a bachelor’s degree in May 2019. A&M-Texarkana’s alternative plan is a fast-track to certification and has certified hundreds of teachers to work in area schools. Participants are approved in 14 months through course work and a paid internship as a first-year teacher in a school district or as a student in clinical teaching experience. Participants earn graduate-level credit and often have only a few more courses to make a Master’s degree beyond certification. Application for admission to the Eagles Teach Alt program is now open, and classes start June 3. Those admitted in spring can be considered for hire in Texas area schools for fall 2019 under Intern Certification in the area exposed to the Alternative Certification Program. For questions, please contact Deb Shidemantle at dshidemantle@tamut.edu or call 903/223-3179. More information about Eagles Teach ALT can be found at tamut.edu/acp.